Aaron Gwin killing it and taking 1st at Mountain Creek, NJ recently. Cool to see a local course with these top riders. Gwin is a beast. 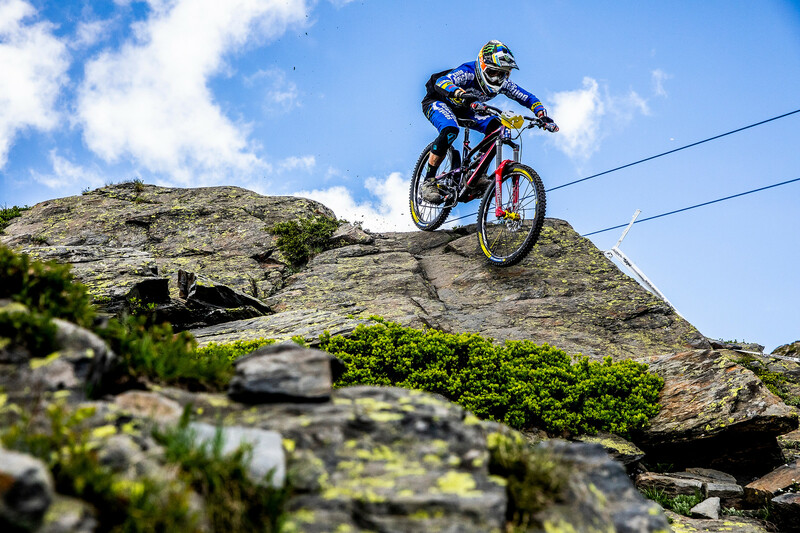 There's a good chance he passes Greg Minnaar for most World Cup wins this season. US downhillers are really doing well this year with 3 men in the top 10 (Gwin, Luca Shaw, and Dakota Norton). Here's Gwin's teammate Neko Mulally. Mulally is designing the course for the US Open at Killington in August. What about a pic of Mr Puck It himself crushing the trails? From what I've seen there is usually blood involved. More blood this weekend. Tried to hop over two logs about three feet apart. Made the first one and hmmmmmmmm. Not the second. I landed on left side aka good shoulder and took a nice cut on shoulder blade from the stub of a branch on log. How thick were the logs? I can clear two twigs three ft apart. I did not put out the arm. So that was good. Last week at Middlesex fells my buddy pedal striked on a baby head and crashed pretty badly. It was in a smooth section of trail but he just happened to have that pedal at 6:00. He owned up to it probably coming from his silly roadie roots. Men AND women of MTB. Tahnee Seagrave, Loic Bruni, and Myriam Nicole checking out lines at this weekend's World Cup DH in Val di Sole. Aaron Gwin questionable for tomorrow. Re-injured his thumb and DNF'd his qualifying run. WTF. Does he play baseball? I know. He just needs to Velcro his hand to the handle bar and give 'er. Ha! Nice! Where is that? Incredible athletes. I posted the women's winning run in Women of MTB.